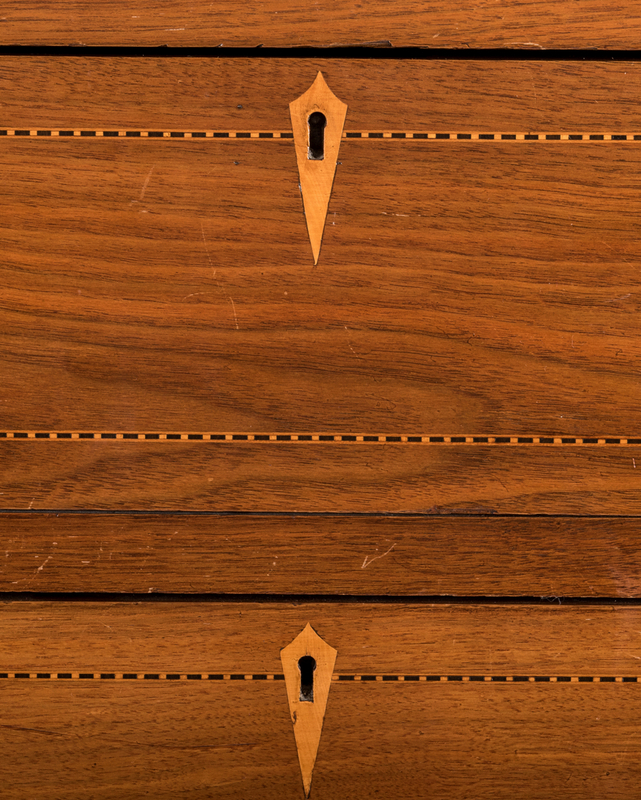 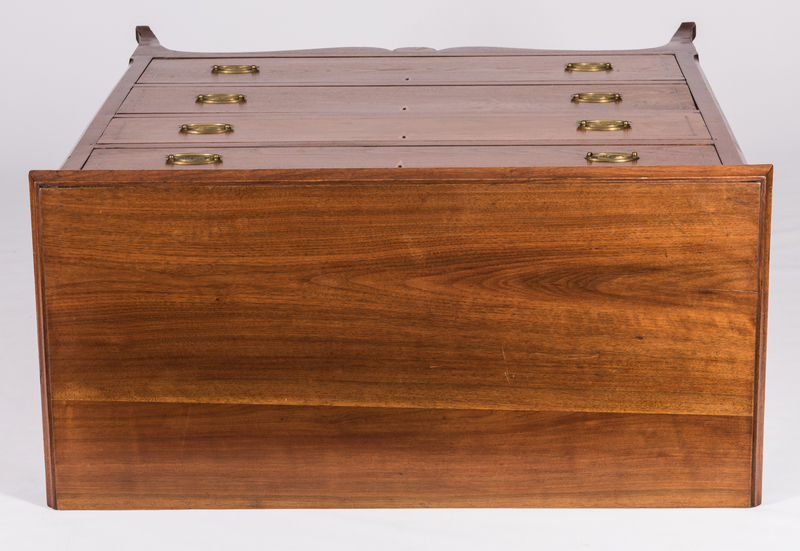 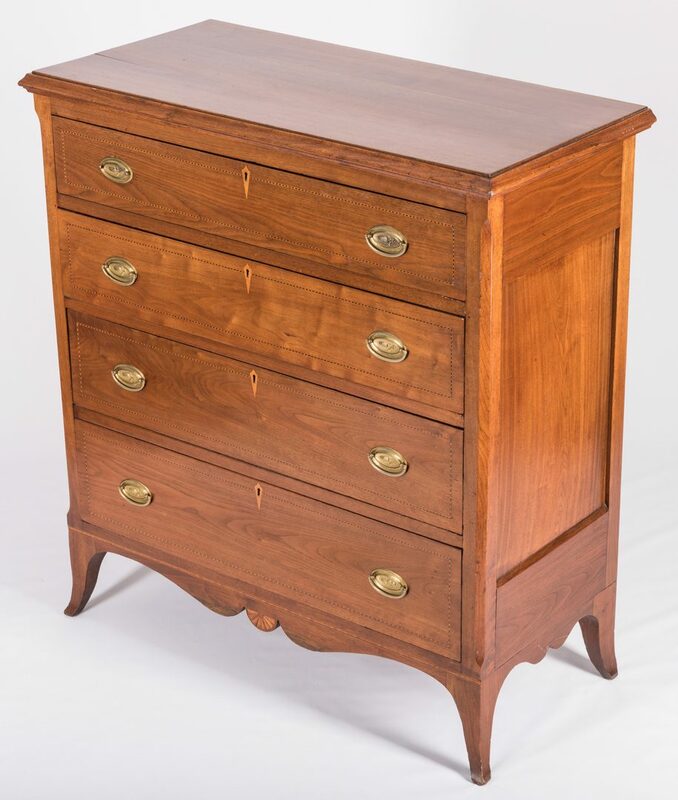 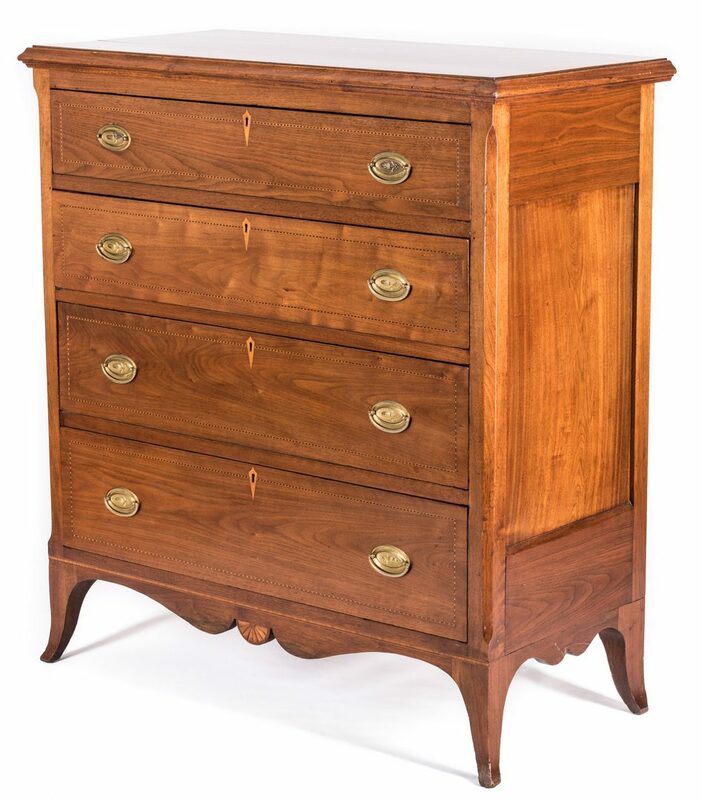 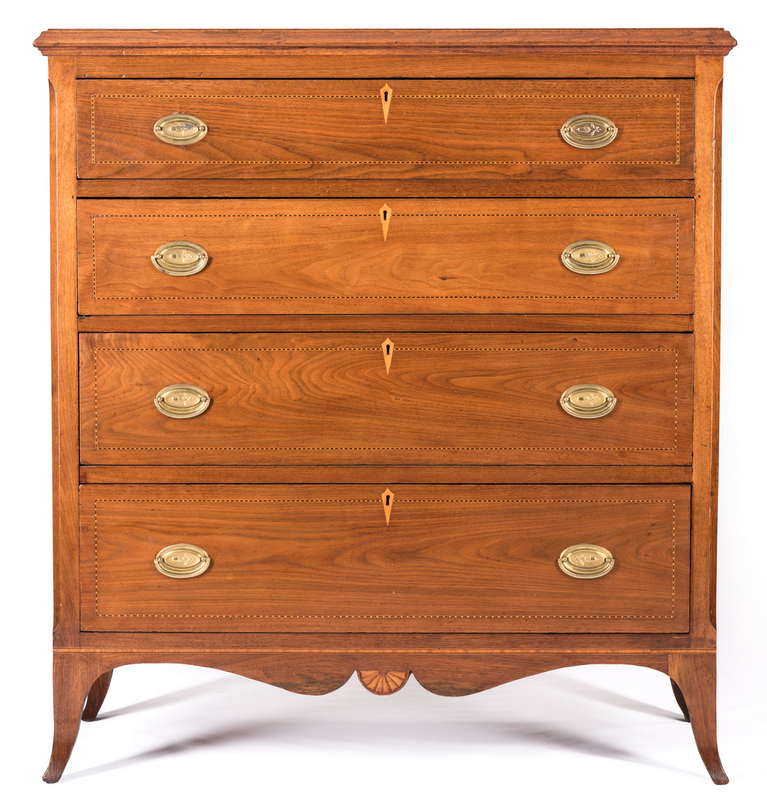 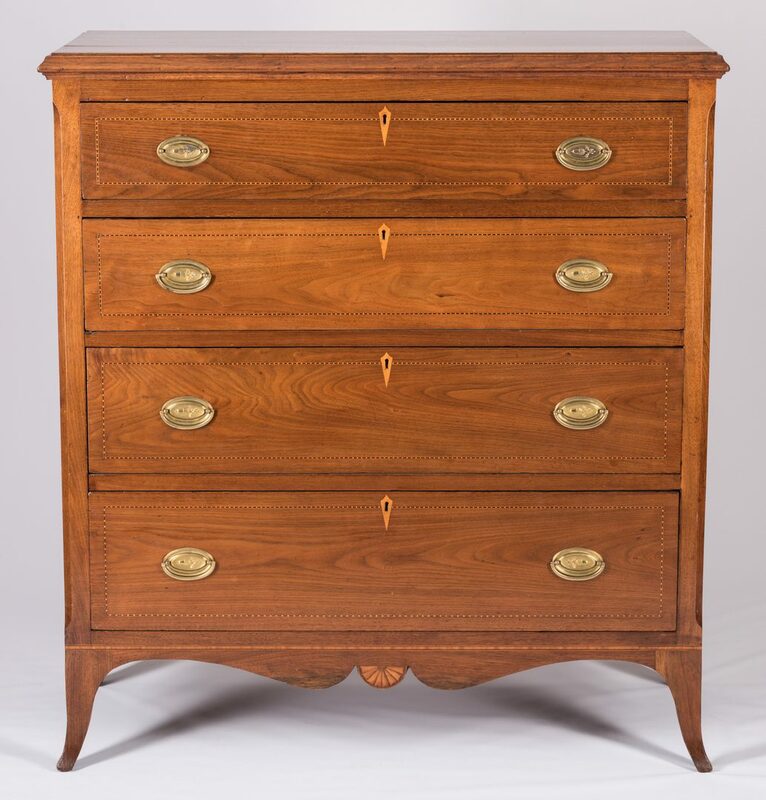 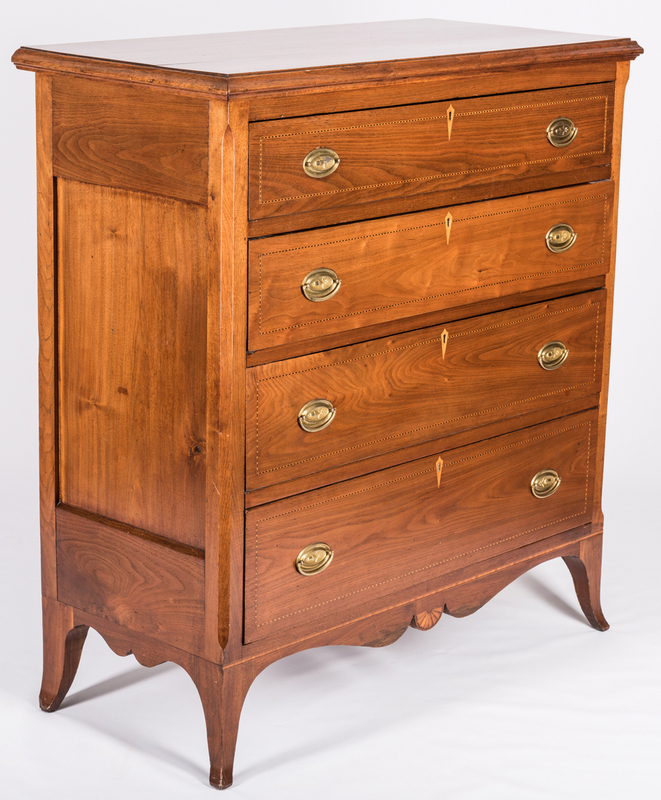 Southern Hepplewhite inlaid walnut chest of drawers, poplar and yellow pine secondary woods, top with double ogee molded edge over four graduated dovetailed drawers, each outlined in bands of contrasting light and dark dash inlay, with inlaid escutcheons and oval acorn stamped pulls. 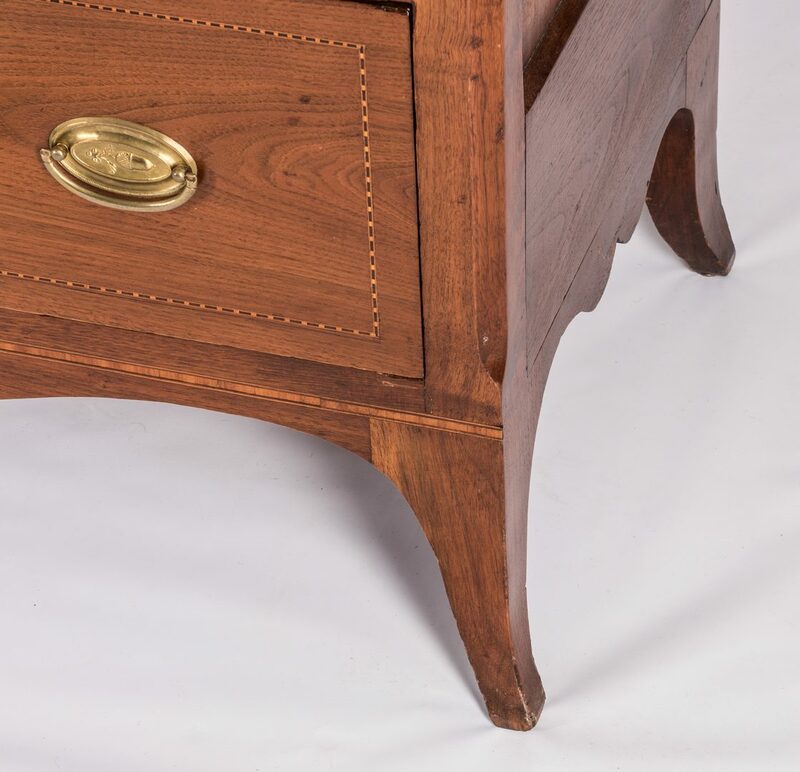 Chamfered corners, later shaped skirt with inlaid semicircular fan in constrasting light and dark woods, French splayed feet. 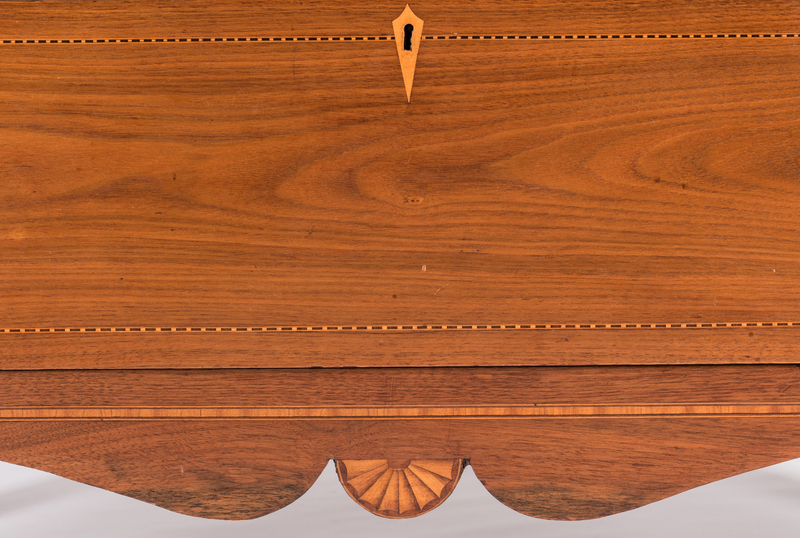 Paneled sides. 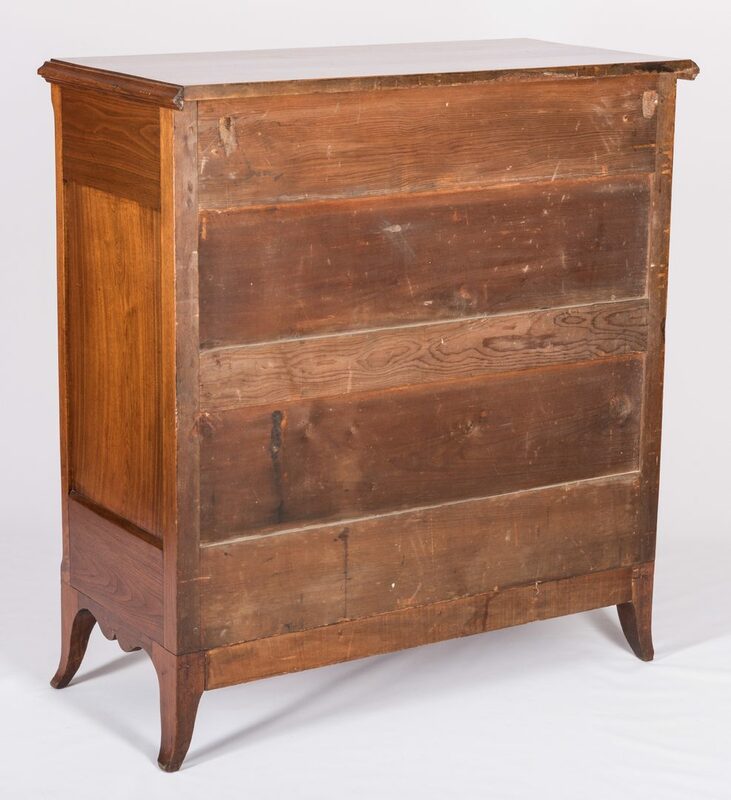 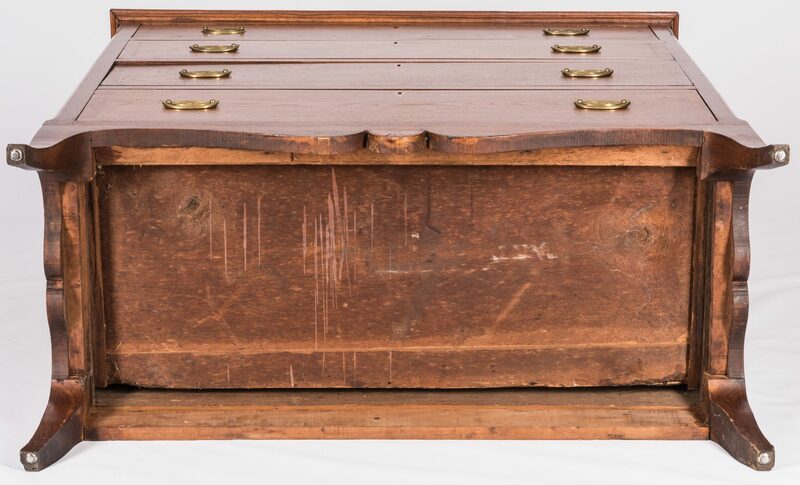 45" H x 41" W x 19 1/2" D. Southern, case is early 19th century with early 20th century base, feet, and possibly inlay. 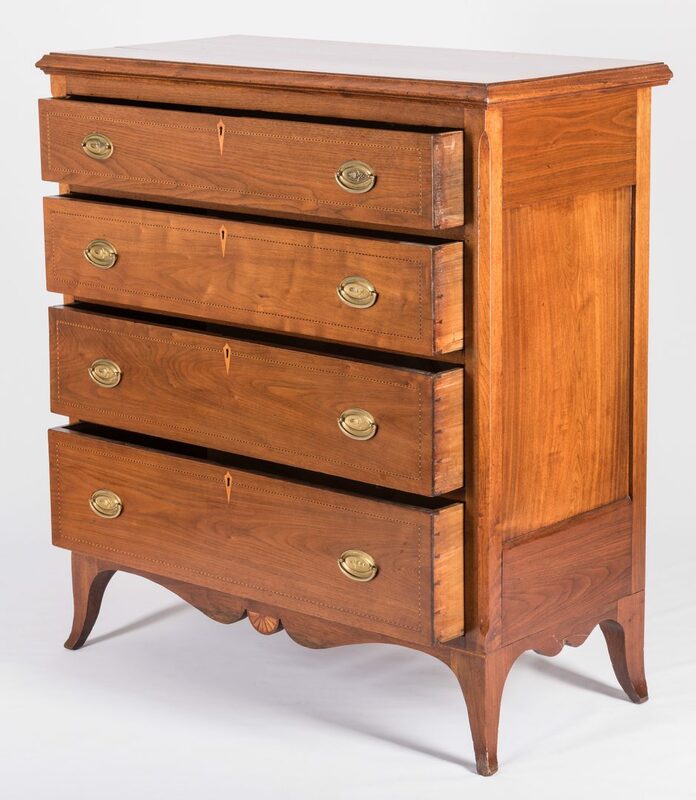 Provenance: Living Estate of John and Donna Rogers, Greeneville, TN. 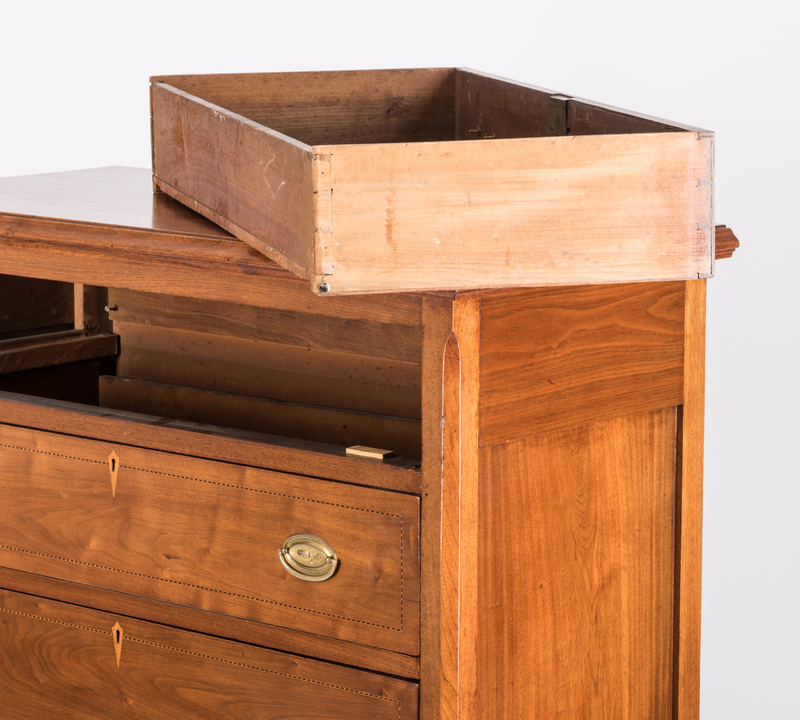 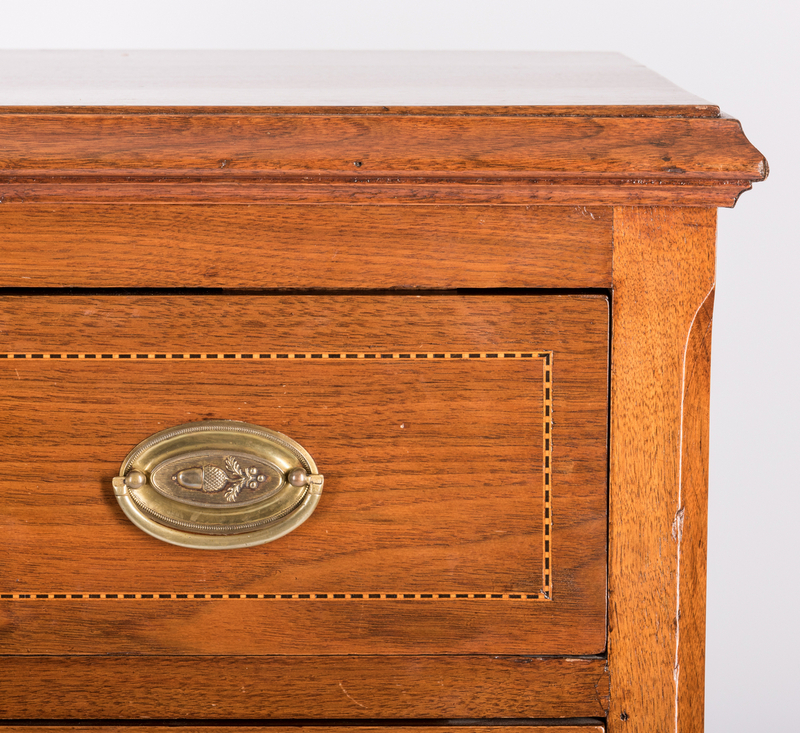 CONDITION: Refinished with drawers having later line inlay around the drawers, base and feet are replacements from the early 20th century. 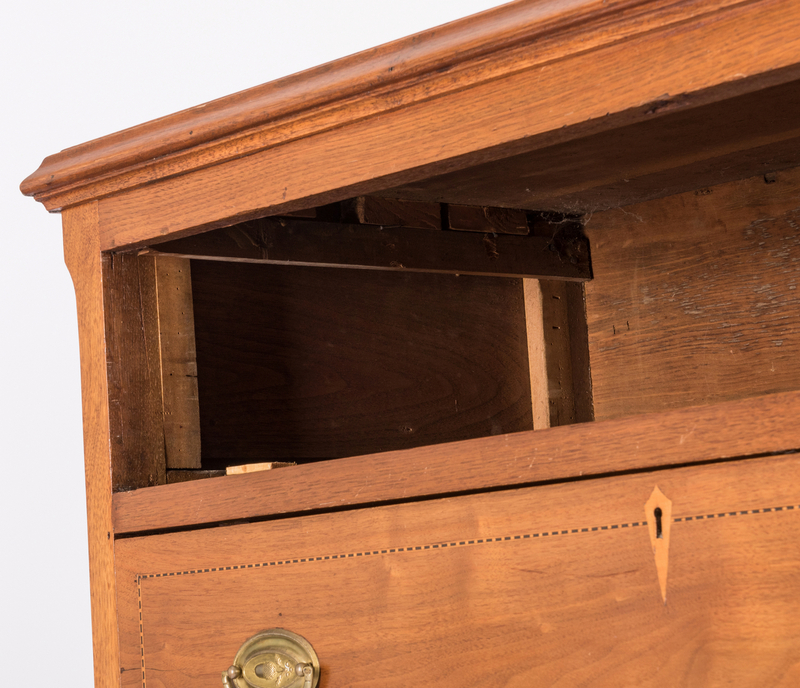 One bale missing from brass pull. 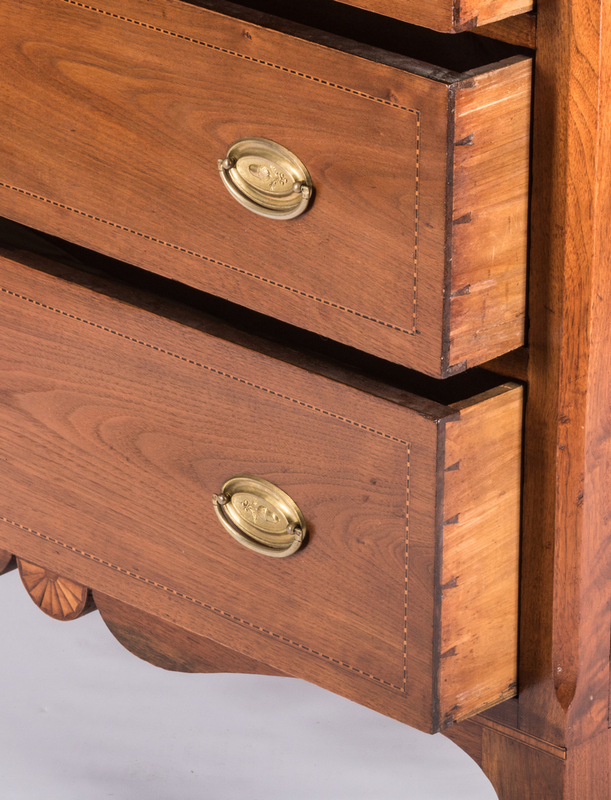 Split along right runner on second drawer.